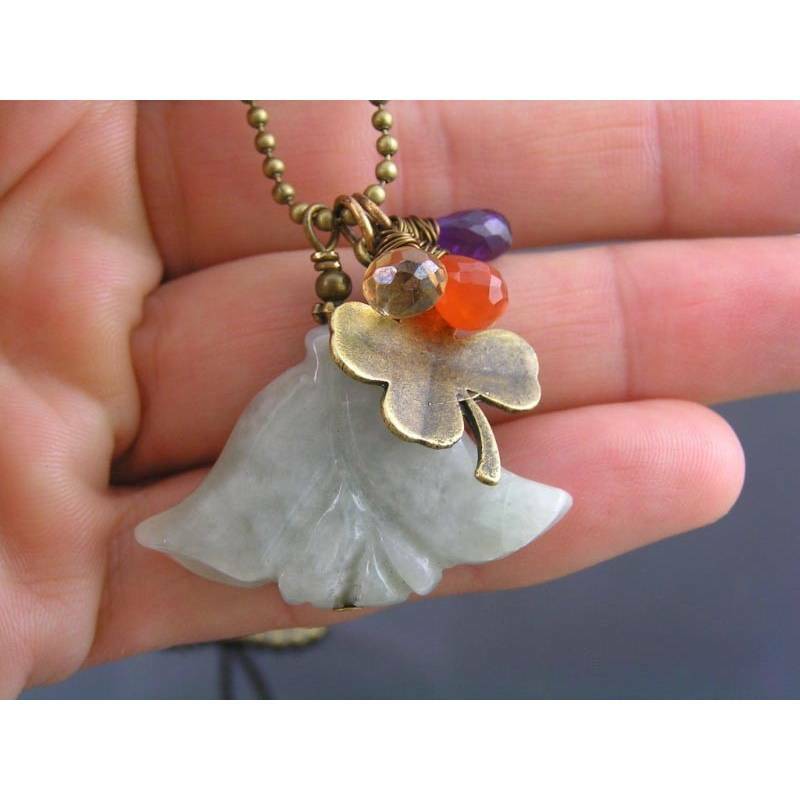 Genuine emerald flower with a cluster of amethyst, carnelian and mystic champagne quartz. 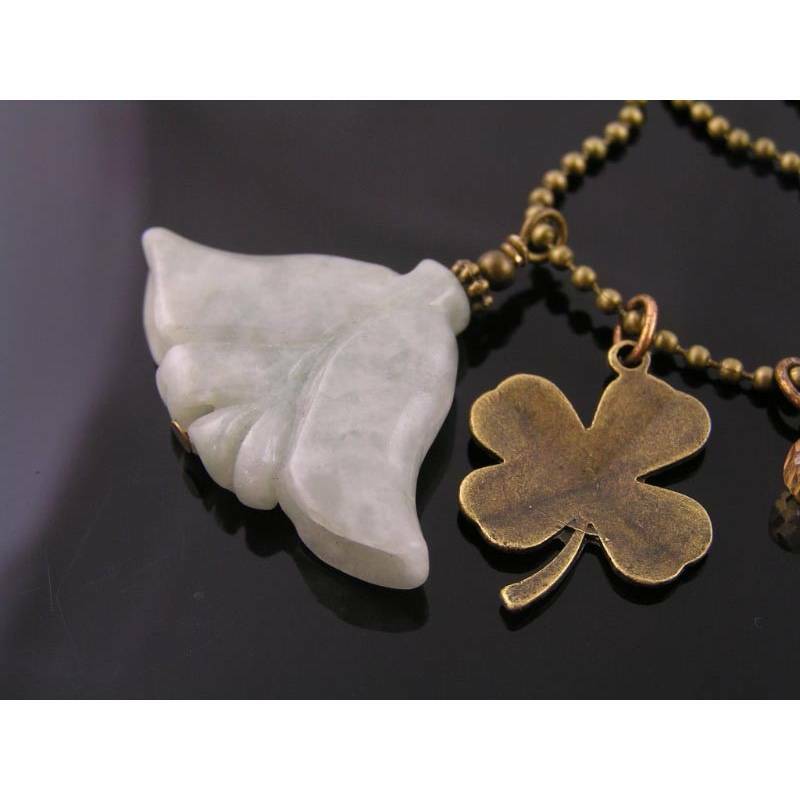 This lovely flower is carved out of genuine emerald. It is - of course - not the quality emerald you would expect to find in a high carat gold setting, but this is a gorgeous, very lightly green gemstone, carved in a rarely seen, larger size flower shape. 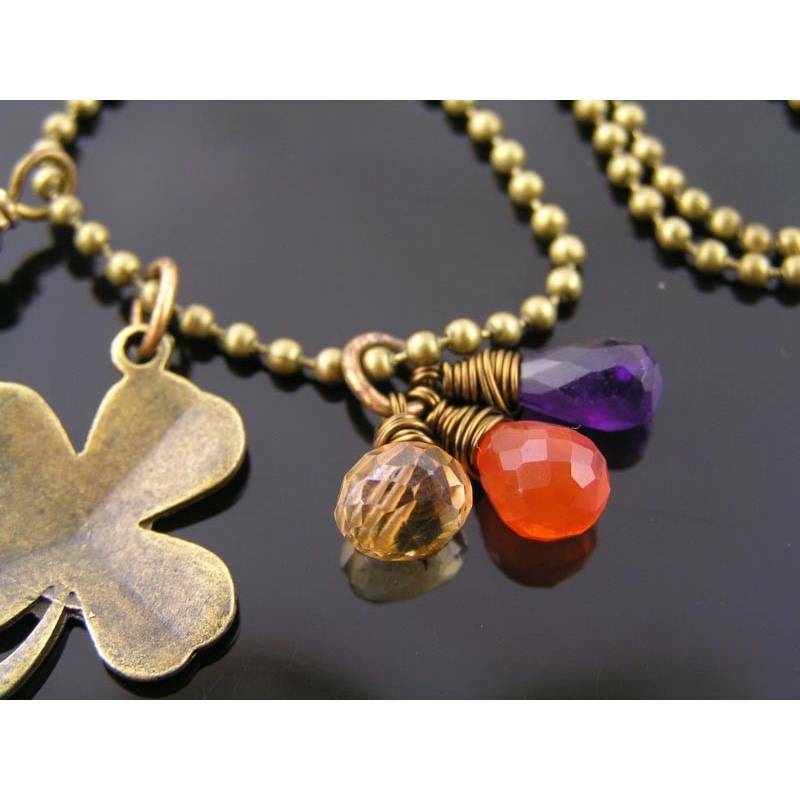 I have added a good luck cute 4 leaf clover charm and a gemstone cluster for some more colour. Included are micro faceted amethyst, carnelian and mystic champagne quartz drops. All three pendants are wired individually, so you can choose which ones to wear. 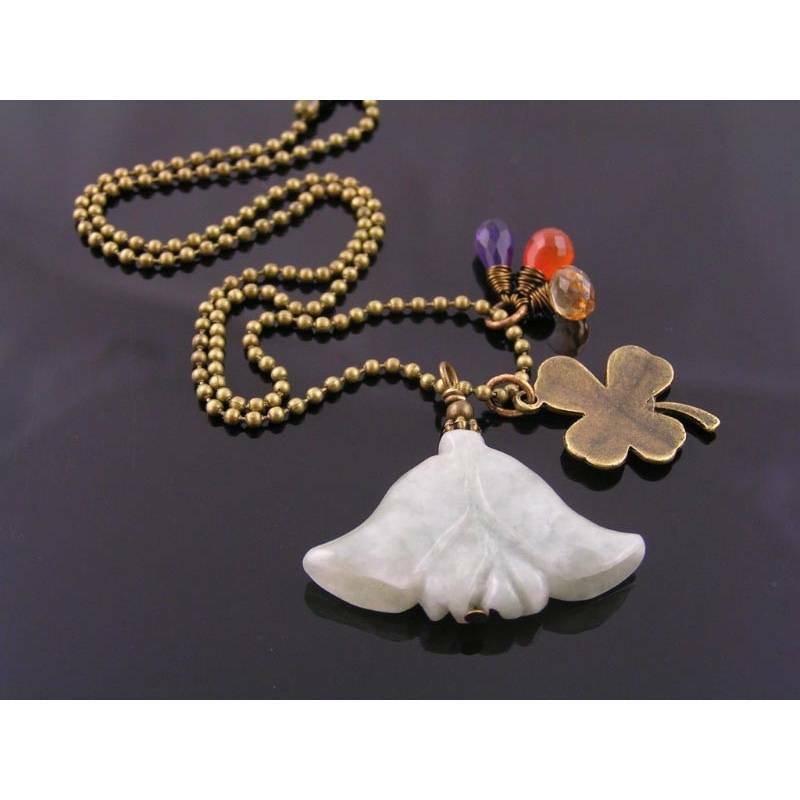 Total length of the sleek ball chain is 42cm, the emerald flower measures 38mm wide and 23mm tall.